This is an article I posted elsewhere a few years ago, I have updated it to where I stand today. The concept of quality gear isn’t new and there are always those looking to just get by or who for whatever reason are afraid of technology; when you’re talking about a piece of life saving equipment just getting by and not maximizing the resources available is the wrong approach. The fighting rifle; there has been a lot written about the fighting rifle. What it is, what isn’t, what it should be, what it shouldn’t be. Here is my take on all of those opinions. A fighting rifle is the rifle you have right now; it’s the rifle you train with. It’s not the uber cool rifle you don’t have. What are the attributes of a fighting rifle for me? 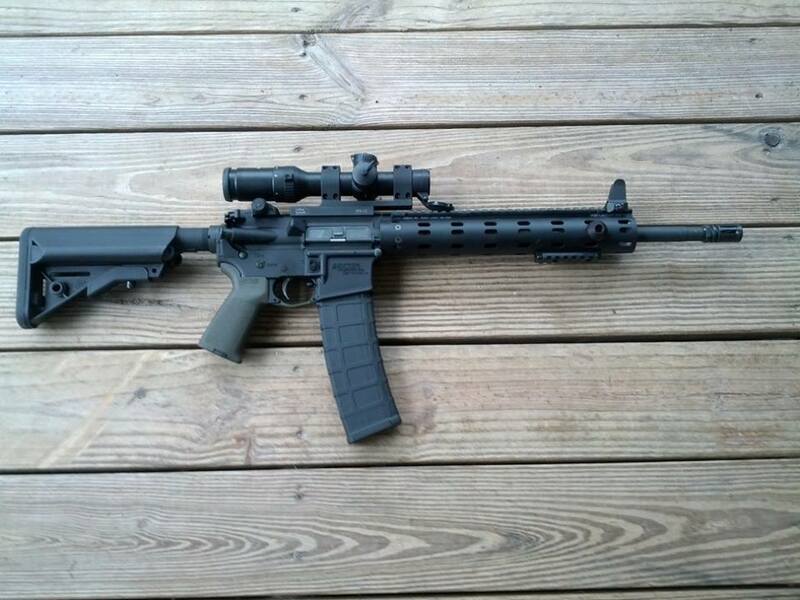 A fighting rifle must be as simple as you need it to be and as light as you prefer, but most importantly reliable. This is usually the point where the AR guys start pontificating about how light their rifle is and the AK guys do the same about the reliability of their rifle. Guess what; none of that matters if you don’t own the knowledge and skill to get the most out of your chosen platform. Me, I don’t care which one I use, but I do gravitate towards the AR platform because I have the most time and training with it. That said, I own both train with both and keep both as simple as I need them to be. The essentials of a fighting rifle for me are obviously the rifle (a quality rifle), reliable well-built magazines, simple two point sling, quality red dot sight and back up iron sight, and a quality light of at least 80 lumens., but more importantly than all of those things is the knowledge to get the most out of my equipment. Let’s talk about each of those components individually. The rifle; quality costs money. 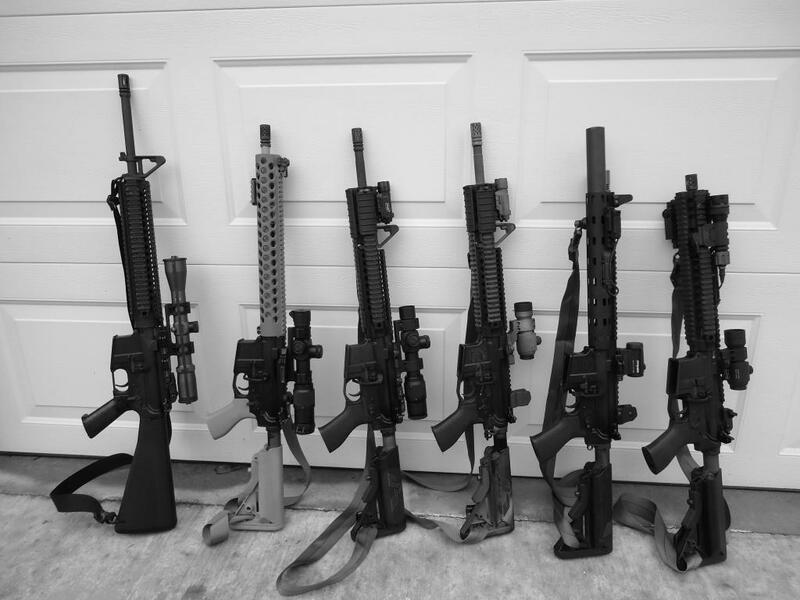 In the AR platform affordable quality is defined in no particular order Bravo Company, Daniel Defense, LMT and Colt. 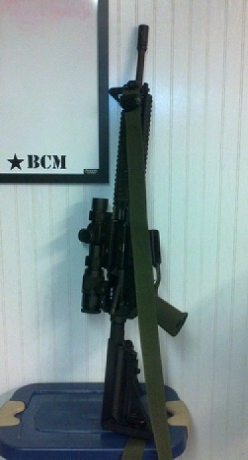 Bushmaster, DPMS, and Olympic Arms, regardless of what your local gun shop guy says is not “just as good”. Most of them probably have never seen a quality built rifle. Much to the chagrin of some people; quality also costs in the AK platform. Quality is defined as Rifle Dynamics and Krebs. Century is not “just as good”. Does this mean that if you have a DPMS or Century that it can’t be reliable, functional or is total junk? No, what it means is that the law of averages is stacked in your favor if you have a weapon from a manufacturer known to build to a standard of quality. Magazines; quality GI magazines with anti-tilt followers are the order of the day in the AR platform. U.S. Palm, Circle10 and surplus metal magazines can’t be beat in the AK platform. Tapco has no place in either rifle. Slings; there are a lot of sling preferences. There are also a lot of slings being used because some cool guy uses it and is marketing it; not because it’s the best sling for the average user. My preferences in order non-adjustable two point sling, adjustable two point, single point. I make my own single point, non-adjustable two point slings and use Vicker’s adjustable two point slings. Optics; Aimpoint for red dot sights, there are others, but none are as rugged or have the battery life of the Aimpoint sights. I will say the Trijicon adjustable RMR looks promising for a rifle mounted optic, but the jury is still out. In my opinion not enough of them have been mounted and run hard on rifles yet. For magnified optics; my choices are Trijicon TA33 ACOG, US Optics on the high end and Leupold or SWFA Super Sniper and Vortex for a lower cost quality optic. FWIW, Vortex makes some of the finest optics in their price point. Backup Iron Sight; Don’t forget to add a BUIS. I prefer a fixed BUIS like the Daniel Defense or LaRue, but there are several quality folding sights from Troy, Knights Armament etc. Fixed or folding is a personal preference, but my rule of thumb is magnified optics get a folding BUIS non-magnified optics get a fixed BUIS. On the AK it’s hard to beat a Rifle Dynamics modified rear sight. Lights; Surefire period. There are other manufacturers out there, but none with the quality and customer service equal to Surefire. Now, let’s talk about stripping things off the rifle if I need to make choices. Choices are never easy and are always situational dependent. Given my list of essentials if I had to start getting rid of things on my rifle, here is what I would get rid of in order and the reason why. 1. Sling; A sling is handy as well as needed for classes and to practice a “proper” transition to the handgun. However, at handgun transition distances I can engage with the pistol one handed with the rifle in the non-dominant hand if needed. 2. Weapon Mounted Light; I ran a rifle for a lot of years without one, I can do it again if needed, but since I don’t have three hands I would prefer a light mounted to my rifle. 3. Optic; We ran rifles for a lot of years before the advent of the red dot sight and viable low power variable optics, but given the technology advances it would be the last piece of gear I would strip off my rifle. It’s been said that a red dot is like cheating; I’ll take every bit of help I can get. What I’m left with is a quality rifle using quality magazines with iron sights, a totally useful and functional package, but why would I limit myself if I don’t need to limit myself? I challenge you to look at your gear and not figure out what you can do without, but instead, look at it and see what you can improve. This isn’t to say if you have all “the right gear” all is good; I’m saying that quality, well thought out gear will make your training progress to a higher level quicker because you’re not fighting your equipment. At the end of the day a well-trained shooter with average gear will be better equipped to deal with a situation than a poorly trained shooter with all of the best gear available. Finding a balance of the proper gear and training for your life situation and then using it to the best of your ability should be the goal.